Word document corruption is resolved within a single click using Word Repair Software. The repair program is capable of performing recovery in various modes depending on the intensity of corruption in files / documents of MS Word 2019, 2016, 2013, 2010, 2007, 2003, 2000. Word files are recovered successfully with the help of this Word Repair software. The MS Word Document Restore software provisions guaranteed recovery of corrupted documents as well as documents that have lost their integrity. The Word repair software features a Quick and Salvage recovery mode respectively. Quick mode of recovery repairs doc files via instant scanning. 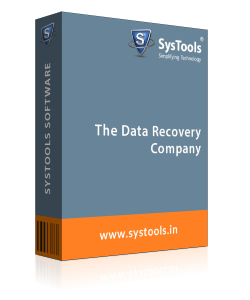 Salvage recovery mode is meant for performing Word file content recovery from high intensity corruption. In addition to Quick and Salvage mode recovery, the Software offers Image Recovery mode too. This mode of recovery specializes in repairing Word documents particularly for image based media restoration. Before proceeding with the restoration, recovered copy of the document content is displayed for preview. The preview of restored document offers the assurance of a successful document recovery to users. Once the document is recovered, it can be saved in any of the featured output formats. The recovered content can be saved as a newly generated doc file, HTML, or even a plain text file at the location of user’s preference. Support for Microsoft Word document of all Office Suite versions is provided by the software. Microsoft Office 2003, 2007, 2010, 2013, 2016, 2019 Word file documents are recovered by the software without any failure or limitations. How to repair Word file using the Product? Step 1 : Open SysTools Word Repair Software by clicking on Start Menu » All Programs » SysTools Word Repair » SysTools Word repair software. Step 2 : Click on “Add” button, choose any of the option Add File(s), Add Folder, Search File(s). For example lets consider Add file(s) option here. Step 3 : After choosing the Word file, click on "Open" button to continue. Step 4 : Select desired docx file that you needed to repair. Press the repair button. Step 5 : The tool will start the complete analysis process to repair docx file. Step 6 : Preview the complete list of repaired DOCX file in two format: Rich text or Plain Text. 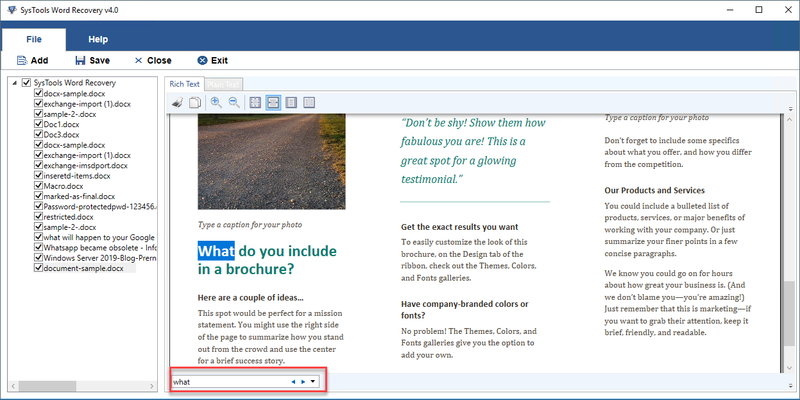 Step 7 : The software provide other preview functionalities : Print Option, Zoom in, Zoom Out, Different Page View Options like : 100% View, Page Width, Whole Page, Two Pages. Step 8 : The application provides Advanced Search Option to search through the recovered docx file. 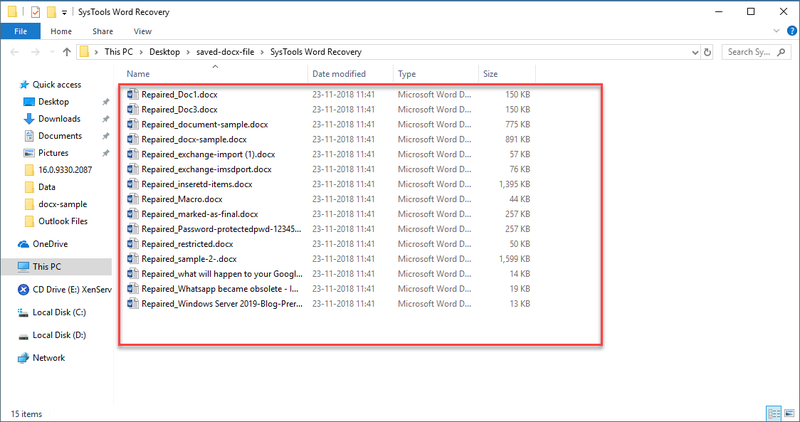 Step 9 : Now save the recovered word docx file in a specific destination location. Click on the Save button. Step 10 : Open the saved repaired word file from the given destination location in the above step. Q. How to open a Word document if Open & Repair fails? Ans: Open and Repair may not work when the severity of corruption is high. Use Word Repair software with Salvage Recovery Mode for executing Word file recovery from high intensity corruption issues. Q. What does ‘Word experienced an error trying to open the file’ indicate? Ans: The error message appears when a document is either not found in a consistent state or has a faulty integral structure. Therefore, there is a high possibility that the file may have become corrupted. 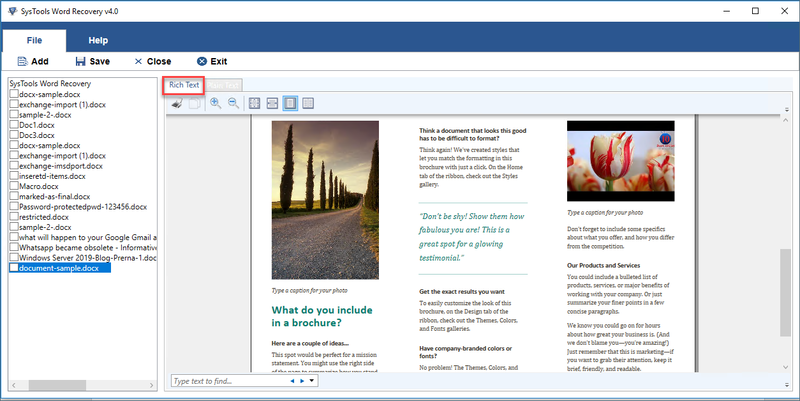 Use Word Repair software to perform Word file error recovery in an instant. Note: Word Recovery Software will get delivered on your registered email id, within few minutes after placing the order. When recovery of document was a concern, I chose the best product in the market - Word Repair. It was so easy to use your tool that I felt like a pro. Moreover, the results were astounding despite the lost hope, I got back my files. I never expected my documents to be recovered ever. Thankfully, I found your solution that was not just easy to use but also offered guaranteed output. I was so happy to see that the recovery of corrupted Word document in 2019, 2016, 2013, 2010, 2007, 2003 etc. with everything in place!